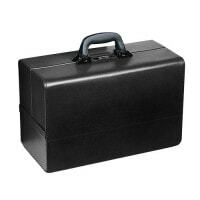 The doctor's case serves to transport medical equipment for house calls or medical treatment outside of the surgery. In our online shop, you may purchase from a wide selection of leather, synthetic leather or plastic doctor's cases and high-quality doctors' Bags. 409,00 EUR* Not ready for shipping. Reserve today and we will ship as soon as possible. 249,00 EUR* Not ready for shipping. Reserve today and we will ship as soon as possible. from 446,00 EUR* Not ready for shipping. Reserve today and we will ship as soon as possible. 365,00 EUR* Not ready for shipping. Reserve today and we will ship as soon as possible. 219,00 EUR* Not ready for shipping. Reserve today and we will ship as soon as possible. Doctors' cases are used like a doctor's bag to carry the required medical equipment needed for house calls, in a secure and compact manner. 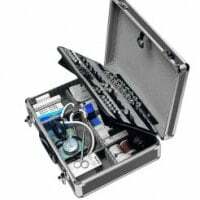 A doctor's case allows one to carry items like a stethoscope, reflex hammer, sphygmomanometer, ampoule holder or plaster in a well-arranged manner to ensure that everything is readily available in the case of an emergency. 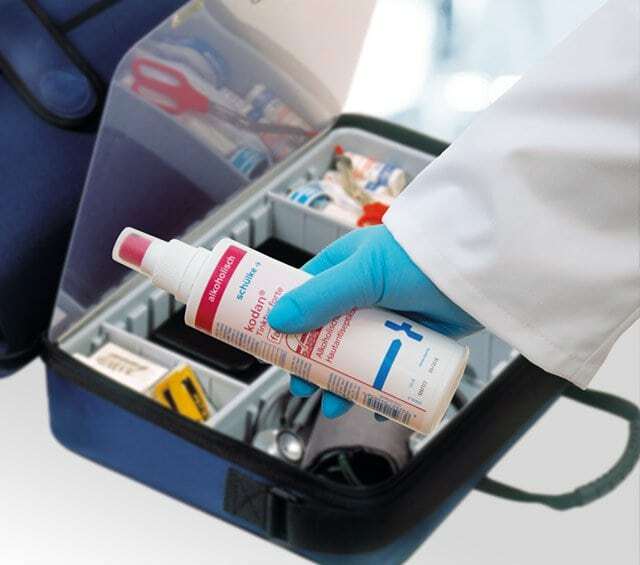 Doctors' cases are more robust and impact-resistant than a doctor's bag and are, therefore, better suited for transporting sensitive equipment. 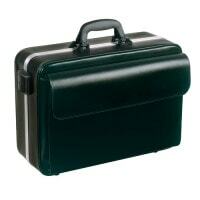 Doctors' cases can be made from various materials; most common are cases made from leather, plastic, metal or synthetic leather. The material used should be as resistant as possible so as to withstand use under even the most difficult of conditions. The inner arrangement is mostly flexible to allow the doctor to individually organise his case based on his personal needs. 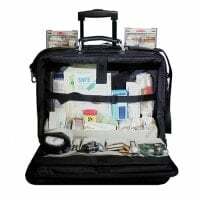 We also offer trolleys for medical professionals who require an extensive range of equipment with countless medical devices for their house calls. These special doctors' cases provide ample storage space and, as with a mobile suitcase, have wheels to make transportation as easy as possible. He who places great value on clarity, the "Medicus" doctor's case from Bollmann is just the right thing. The included plastic insert can be removed, so that the required items are quickly and easily reachable. 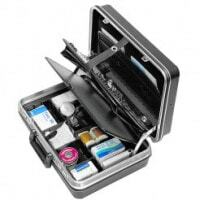 Empty or filled doctor's cases: in this category, you can buy from a wide range of various doctors' cases from name brand manufacturers, at affordable prices, e.g. Bollmann, Börsch or Dürasol. 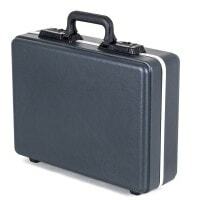 Of course, you will also find the proper equipment for your doctor's case. For this, we offer you a large selection of dressing material, injection accessories, diagnostic instruments and other medical products, from otoscopes to syringes. 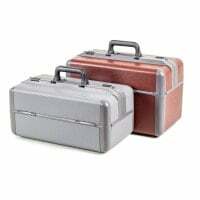 As a lightweight alternative to the doctor's case, our online shop also has various doctor's bags and medical bags. 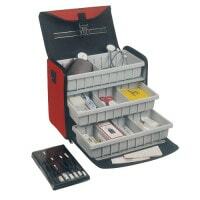 You can also order additional medical accessories for house calls. 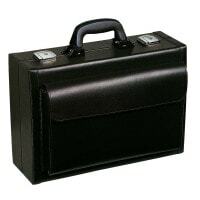 You would like to purchase a doctor's case and have questions? Our customer service team is standing at the ready. Talk to us via telephone, contact request or in our live chat!